Join millions of readers around the world and access eBooks and audiobooks all with one app. Go shelf-less and take your reading adventures on the go. With over 6 million titles to choose from, there's something for every type of reader and listener. Purchase eBooks and audiobooks directly from Kobo. They'll automatically appear in the app immediately afterwards. • Read thousands of free eBook previews or listen to audiobook samples to help you find your next favourite. • Read in English, French, Spanish, Italian, German, Dutch, Portuguese, Brazilian Portuguese, Turkish, Traditional Chinese or Japanese. • Listen to audiobooks while you drive with CarPlay. Download them before connecting to CarPlay, or else you won’t see them. 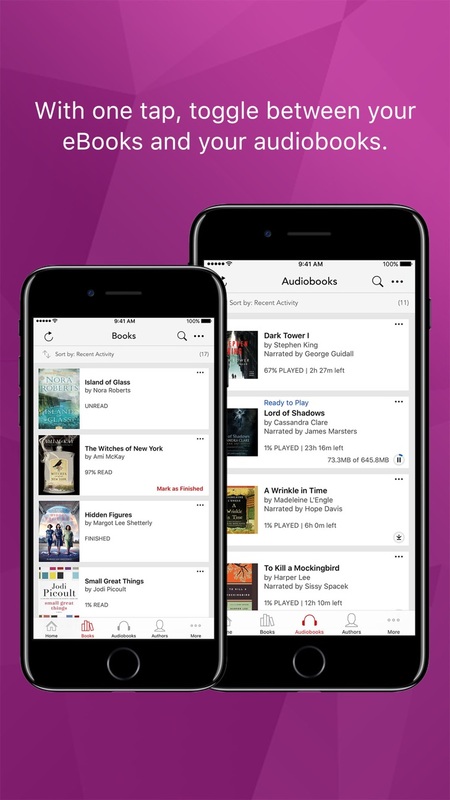 *You can listen to audiobooks on any iPhone, iPad, and iPod touch running iOS version 9.0 or higher. For our passionate readers who love books as much as we do, we update the Kobo Books app as often as possible to continually improve on its reliability and performance. Wishlist is now available. Add items you’re interested in to your Wishlist, which you can access from the Home screen. You can also add your Wishlist to the tabs at the bottom of your screen. Just tap the More icon, then Edit, then drag the Wishlist icon to the tray. 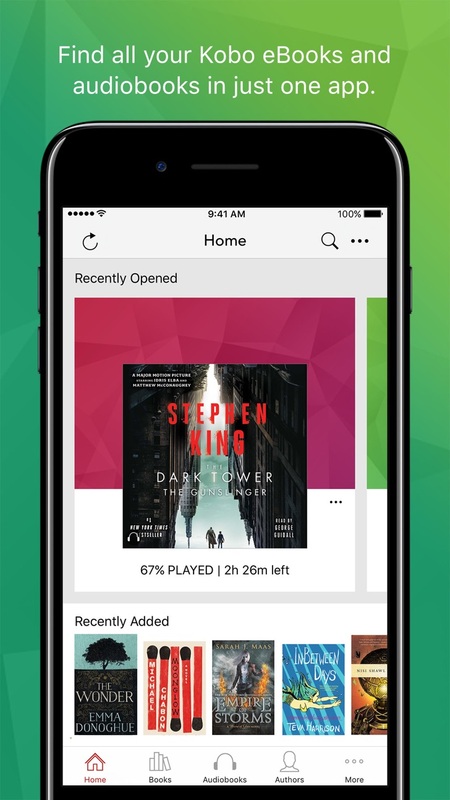 If there’s a book under Recently Opened you’re no longer reading, you can now select Remove from Home. You’ll still be able to find it under Books or Audiobooks. We now offer support for new iPad Pro devices. We resolved various issues with text being cut off on smaller devices.